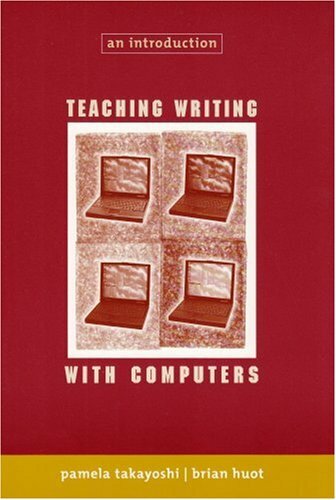 New and landmark literature discusses both the theory and the practical aspects of teaching writing with computers, and helps instructors incorporate technology appropriately and effectively. Nancy Summers is a professor at Harrisburg Area Community College, where she has served as department chair. Summers was the director of public education for a mental health system and has worked with numerous agencies to provide training, improve services, and assist with an internal reorganization. She remains actively in touch with numerous professionals in a wide variety of programs and recently published work on the supervision of the less experienced human services worker.Ann Raimes, a respected authority on writing, research, grammar, and ESL, created the KEYS FOR WRITERS family of handbooks (Cengage Learning) to be the most accessible, user-friendly handbooks available. ""Techno-pedagogical Explorations: Toward Sustainable Technology-Rich Instruction""
""Technology as Teacher: Augmenting (Transforming) Writing Instruction""
""Ewriting Spaces as Safe, Gender-Fair Havens: Aligning Political and Pedagogical Possibilities""